Count on us for quality pool repair that will have you swimming again in no time. Handling your own pool repair can be a frustrating experience. Without knowing the ins and outs of swimming pools, it can be challenging to accurately diagnose what the problem is. You could even make the problem worse, resulting in a costlier repair. Your best bet, if you need pool repair at your Cornelius, North Carolina home, is to call us at Cayman Pool & Spa. We have more than 12 years of experience in the pool and spa industry. Our wealth of knowledge and experience, combined with dedication to using only quality pool repair parts, ensures your pool will be up and running again in no time. We can help with both minor repairs and ones that are more involved, as our team has been expertly trained to handle anything that could go wrong with your swimming pool. A few of the pool repair situations you can trust us to resolve include pump issues, clogged pool cleaner, leaking skimmer, pool heater not working or underperforming, salt system malfunctions, pool liner issues, and filter housing problems. 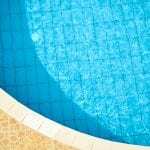 We can also provide you with regular pool maintenance and cleaning services to help minimize pool repair situations. If you are interested in making modifications to your pool, such as switching to a salt system or putting in a pool slide or lights, we can also help you with that. In addition to providing reliable pool repair and other pool services, we have two convenient locations to choose from when you need pool supplies and chemicals. Stop by or call us with any questions you may have or to schedule pool repair services. At Cayman Pool & Spa, we offer pool repair services in Mooresville, Concord, Cornelius, Davidson, Harrisburg, Huntersville, Kannapolis, Statesville, Troutman, and the Lake Norman area of North Carolina.